Because You Asked . . . .
Business in the Burrer Mill on North Columbus Street continued to be good until the world-wide depression struck in 1929. In the early 1930s a local farmers co-operative group was formed and they built the Condit and Sunbury grain elevators. 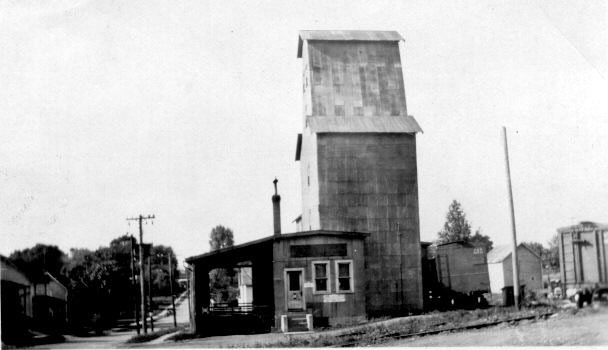 The Condit elevator was built on the east side of 605 just north of the railroad. The Sunbury elevator was built on the east side of South Vernon Street also near the railroad. This close proximity to the railroad allowed for expansion of the business. 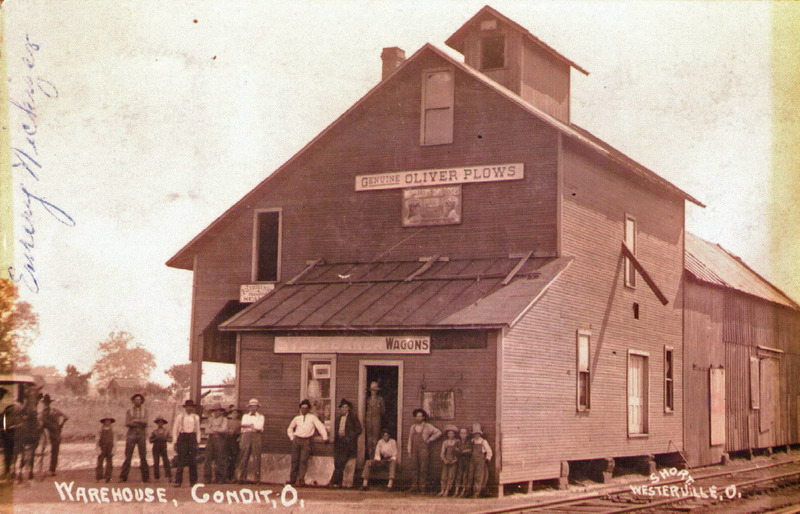 In addition to grain, they also sold coal, seeds, and other equipment needed by farmers. After a short period it was determined that the community could be better served if the co-operative and the mill owners joined and formed a corporation. It was called the G. J. Burrer Mill & Elevator Co. with Karl O. Burrer as its President and Manager. The elevator in Mt. Liberty was acquired. 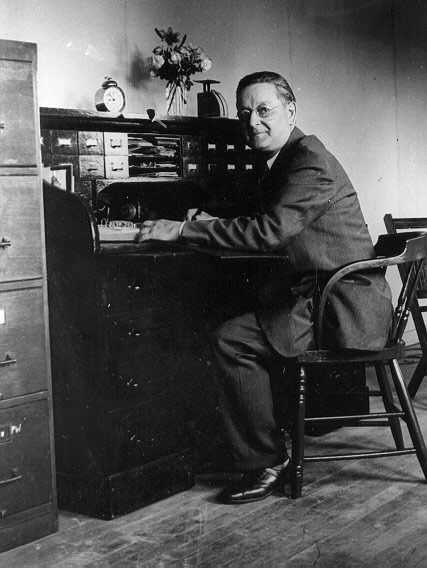 A new office was set up in the Sunbury Elevator and used as operating headquarters. The office at the Columbus Street mill was closed and it was operated as a branch. This new arrangement proved to be satisfactory for a few years but as communications began to improve and national advertising by the large midwest producers took effect., the products of Pillsbury, Ralston-Purina and others began to appear in the stores locally. Farmers no longer brought their 'grists' to the mill to be ground but sold their grain for cash and purchased flour and allied products in the stores. As this trend continued to grow the large gas engines ran less and less and it became more economical to use individual electric motors to do occasional specialized jobs. Finally it was agreed that the mill had become a liability to the stockholders and the land, buildings and machinery were sold into other hands for dismantling and disposal. 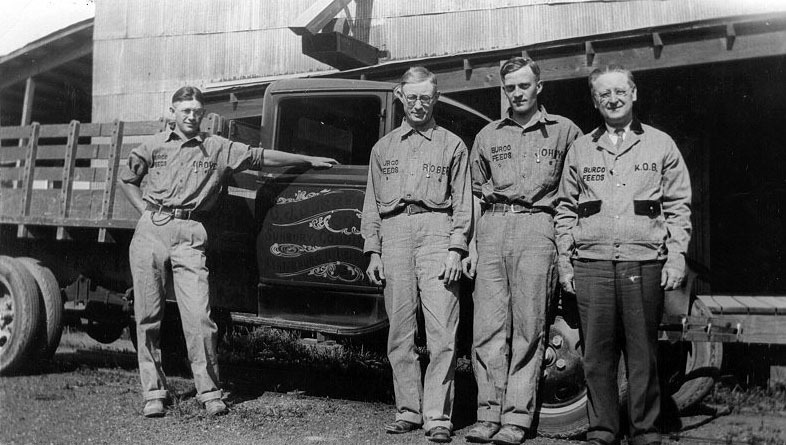 When Karl Burrer was injured in 1944 in an accident at the Sunbury elevators, it was agreed that since he would be no longer able to continue actively in the business, the remaining assets were sold-to the newly formed Delaware County Farm Bureau. Mr. Parker Burrer retained the old Centerburg mill for other use. It had not made 'Tip Top' flour for several years. In the 1960s, the business became the Delaware County Landmark Corporation, locally called Landmark. When the business closed in the 1990s, it was Delaware County Countrymark. Today Fuller Oil Company, owned by Todd Borton, is operated from the building at 148 South Vernon Street in Sunbury. The Landmark elevator in Condit burned several years ago.